Below are several manuscript collections which have a finding aid. A finding aid will give you information about a collection's size, dates, inventory, types of material, a brief biography of the collector or producer of the collection, etc. This information should help you decide if would like to make an appointment to come to the Archives and use a collection for further research. Please note that manuscript collection materials have generally not been digitized. Most manuscript collections and additional finding aids can be found using the Archives Catalog. Dorothy Elderdice graduated from Western Maryland College in 1911 and continued her education in dramatic arts and oratory in New York and Boston. After working in New York, Idaho, and Florida, she returned to Westminster, where she was employed at the Westminster Theological Seminary's library, and taught public speech and church drama until her retirement in 1951. Locally, she became known for the costume shop she opened in Westminster after her retirement. She was also known for her involvement in Civil Rights, Women's Rights, and peace movements. This collection primarily contains her diaries from 1903-1930 and 1949-1979. Also included are several of the pageants she wrote, including one for the Jubilee of the Women's International League for Peace and Freedom (WILPF). Theophilus Kenoley Harrison (“T. 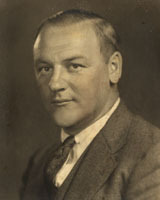 K.” or “Kenny”) served as the College’s Business Manager from 1930 until his retirement in 1949. He also served as the Alumni Association executive secretary during his tenure at the College. An alumni of Western Maryland College, Harrison graduated with the Class of 1901, and was very involved in Class reunion events and facilitating “Round Robin”-style letter exchanges between his classmates. This collection primarily consists of correspondence and manuscript materials, with many directly related to his continued involvement with the Class of 1901, and his personal correspondence. Charles W. Havens ("Charlie") coached Western Maryland football, baseball, basketball, lacrosse, and boxing, taught physical education and health, and worked as Director of Athletics, from 1931-1956, excepting the years of WWII, where he served in the Army Air Corps. The collection consists of correspondence and manuscript materials, both personal and related to his time at the College, as well as a significant amount of historic WMC football sports programs from the 1920s-1950s. This collection is part of the the Western Maryland College Collection. The bulk of this collection consists of papers, books, and artifacts produced and collected by Edith De Berry Powell while she was a student at Western Maryland College. She graduated in 1902. An economics professor at Western Maryland College from 1954-1957, this collection contains Ralph Price's professional correspondence and his correspondence while a visiting professor in India and Singapore. Morris Rannels was Superintendent of Cecil County, Maryland schools from 1952-1960, an era that saw a student population explosion and the Supreme Court decision that legally ended segregation of public schools. During his tenure, he supervised the building of ten new schools and the integration of the Cecil County school system. This collection contains related papers, newspaper clippings, and Mr. Rannel's own remembrances of this turbulent time. Dr. Samuel Biggs Schofield was a chemistry professor at Western Maryland College from 1921-1965. After his retirement, he became the College's first archivist and began researching and writing the history of the College. The bulk of this collection contains notes for writing that history, The Formative Years. Also in this collection are short essays on different aspects of the College's history. George Stockton Wills was an English professor at Western Maryland College for more than 25 years, between 1898-1944. This collection contains his diaries, papers, and scrapbooks.